Space Barrage Arcade is in the wild and maybe I should let more people know that! I’m sure I’ll publicly contemplate on marketing and how many diverse skills and activities are required to make and sell a game, but today I just want to say we are in a place where the game feels like it’s in a good place with just a few more tweaks to polish it off in a future version. After two months on the store, version 1.1 is now the game it should be. It has its own news blog which will be a bit more professional and sales oriented than this personal blog. Sometimes there’s activity over at the Touch Arcade forums: (like a recent give away of promo codes): Space Barrage’s main thread. And then there is twitter. 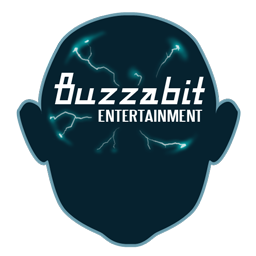 @buzzabit_games #spacebarrage is the one that gets you tweets about this game. Yes, it’s one more thing for me to work on while trying to release my game. Yes, it’s like a big iPod Touch. Yes, it doesn’t play Flash. Yes, I want one — at least, one. As far as my game goes it’s actually inspiring some harder work on it. 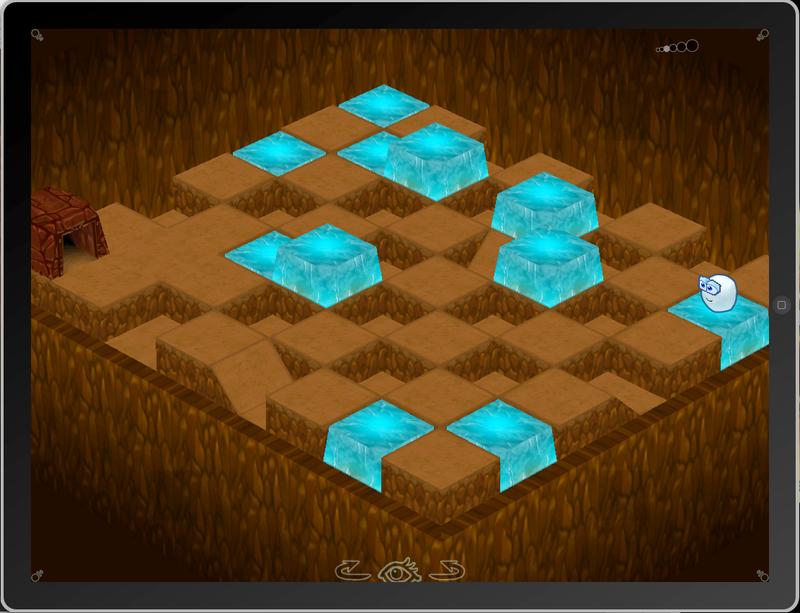 So far, making it run on the iPad incidentally caused me to clean up some crufty old code in the game (again). Plus, I want this thing out near the launch of the iPad to catch another wave of new users looking for something to try out. It’s a dream, anyway. When people say it’s like a big iPod Touch I think they mean it as a derision sometimes. I don’t really get that. It’s like mocking a laptop for being a small desktop computer. The size is one of the chief benefits. It’s going to open up the masses to multitouch in a much more useful and natural way. It’s going to look stunning, too, with that high DPI screen as large as it is. I’m realizing I’ve learned quite a bit over the last year and a half. I had very little Objective-C experience (not to mention Cocoa) when I started and just yesterday I realized I could have made a much better architecture choice in my code. Going back to some of the original code is kinda painful sometimes, but it all works just fine. Cel-style outlines on the basic stage geometry. 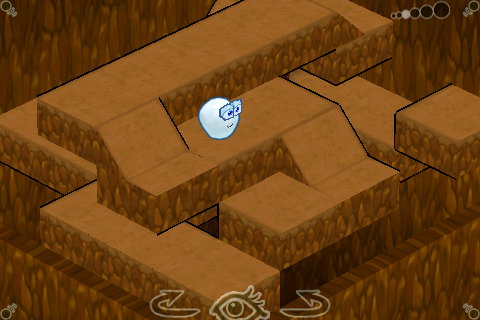 Snowball Touch is picking up speed rolling down the hill towards release. On the way it’s glomming some new features onto itself. There will be some very basic victory animations that change every 5 stages or so to help with that feeling of progress. 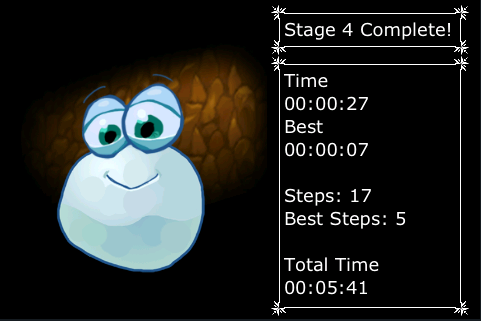 Plus, you can try to beat your own times and see if you could have completed the stage with fewer steps. You can also see how long it took to figure out with restarts included. So, I’m starting to get time to work on Snowball Touch, again. Getting used to the new little guy, after all. Basic 2D-sliding/zooming/layered cinematics are go. That’s the last major feature that needed to be added. The pic below is from the opening (short) story cinematic and it’s in motion on the device. Kind of a camera pull-back reveal to give some depth and excitement. 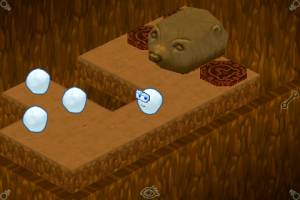 I just put up a little sneak peak about Snowball Touch up on YouTube. Kinda weird putting it out there as I’ve been working on it for almost a year. That sounds more impressive than it is, though. A couple decades passed before I realized that an idea was just a point to push off from. Reason tells me that the little happy rush we get arm in arm with a new idea is adrenaline meant for action. Sadly, my young self was mostly content with just finding more push off points.